Investing in an energy-efficient home is a great long-term plan to save on your monthly bills. 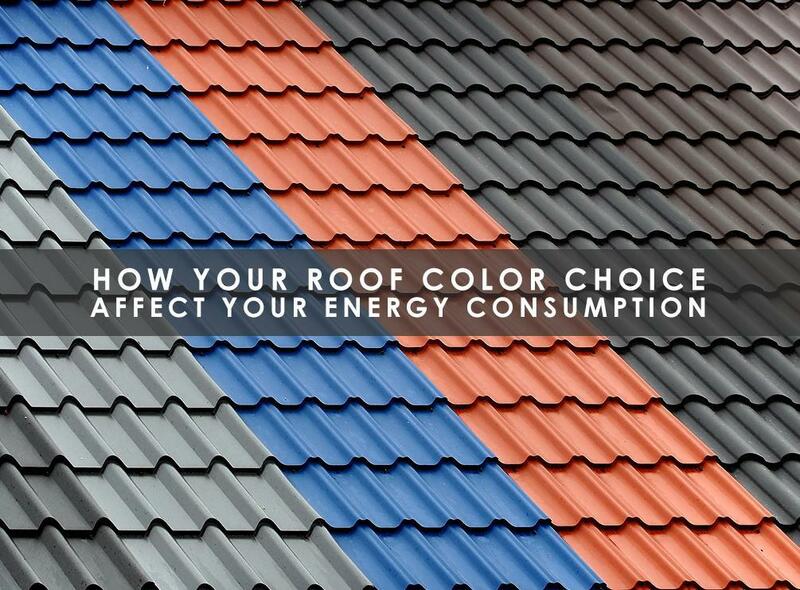 Insulation plays a large part in your home’s energy efficiency, but did you know that your roofing color choice can help as well? Let Rogers Roofing explain how you can achieve this. To understand how this works, let’s take a quick look at how sunlight works. Sunlight is divided into different spectra, but for simplicity, let’s divide it into two groups: visible and invisible light. Visible light is comprised of the different colors of the spectrum, which humans perceive as sunlight. Invisible light, on the other hand, includes infrared rays and ultraviolet (UV) rays. The former carries heat from the sun, while the latter causes sunburn on human skin and faded fabrics and printed matter on textiles and furniture. You may already be familiar with how wearing a white shirt keeps you cool under the sun. This is because reflective surfaces and light-colored material bounce sunlight back to the air. Applying the same principles to roofing, a dark-colored roof would absorb heat from the sun, while a light-colored one would reflect it; the latter is known as a “cool roof”. Dark-colored roofs can actually be a favorable choice for homes that require interior heating, like in colder northern states. Also, the Energy Information Administration reports that 42% of the average American home’s annual energy consumption is spent on heating, as opposed to a mere 6% for air conditioning. So, does your home need a dark-colored roof or a light-colored one? Setting aside aesthetics for the moment, if your indoor cooling costs outweigh your heating costs, then you will definitely need a light-colored roof. Most roofing options like asphalt shingles or metal are available in light colors. Alternatively, you can also choose roofing materials like CertainTeed’s Landmark Solaris® product line, which is treated for solar reflectivity, regardless of color choice. This asphalt shingle product line meets ENERGY STAR® standards for solar reflectance and thermal emissivity. Rogers Roofing serves Munster, Dyer, and Tinley Park, IL. To know more about cool roofing, call us today at (219) 228-8210 for Indiana residents, while you can call us at (773) 492-2270 if you’re in Illinois. You can also fill out our contact form for a free, no-obligation estimate. Aluminum vs. Vinyl Siding: Which Is Better? How Are Asphalt Shingles Made?